I deliberately chose a style of canvas that could be displayed without being framed so that clients who are cost-conscious would have an option that didn't include an expensive frame. I've often heard the sad refrain the the frame cost more than the painting, so I have also provided a selection of frames at quite reasonable prices if you would like to purchase your portrait complete with a frame. 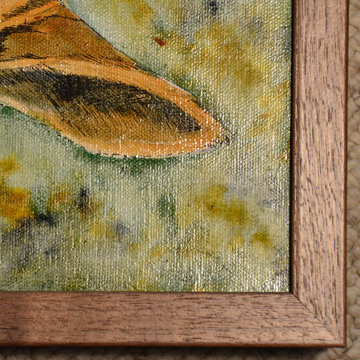 There are two main styles of frames available for the horse portraits. It can be somewhat challenging to find frames which accommodate the 1 1/2" deep stretcher bars which the canvas is fastened to for these portraits, so I have researched and selected a few which I feel work best with this format. 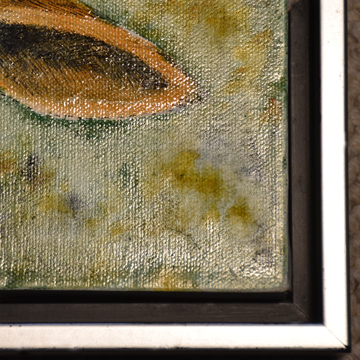 The first group is composed of frames which look something like shadow boxes. 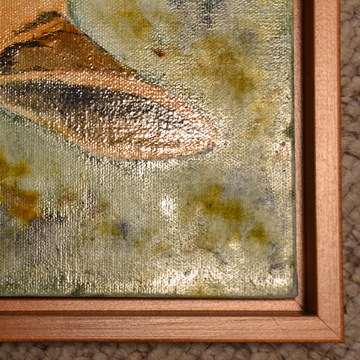 The face of the frame is separated from the painting by about 1/4". 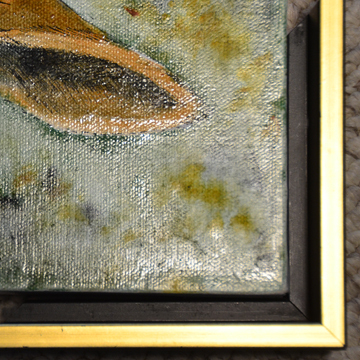 The sides of the painting are coated in a color similar to the space between the edge of the painting and the edge of the face. 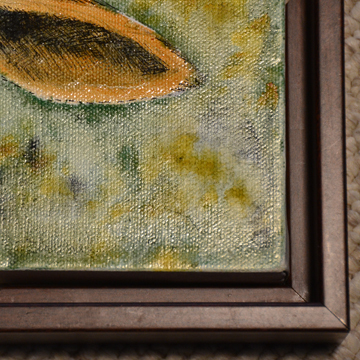 When the painting is placed in the frame, it looks like it is "floating" in the frame instead of being bounded by the frame. This can produce a quite elegant look. 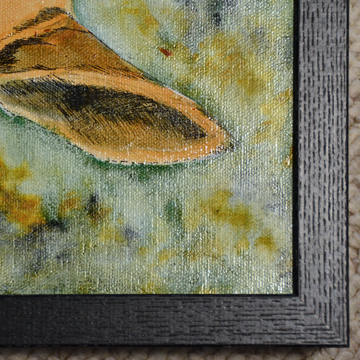 The second group is plain flat wood frames with no decoration. Some of them present a larger "face" to the viewer than others. This is, of course, a matter of personal preference. 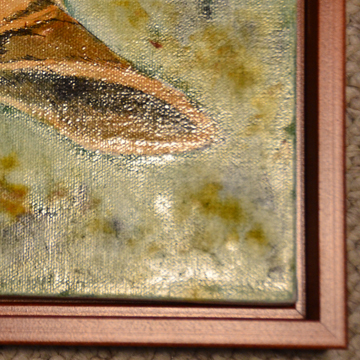 Some also push the painting a little farther out from the wall than others. Again, it depends on what you like. 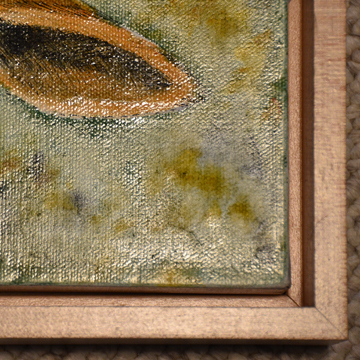 The dimensions of each frame pictured below are listed with it. "Side" means the depth of the frame as you are looking at it from the side. 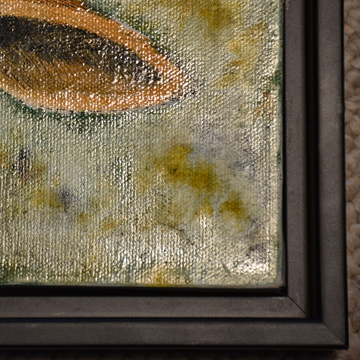 "Face" means the width of the frame material as viewed from the front of the painting. 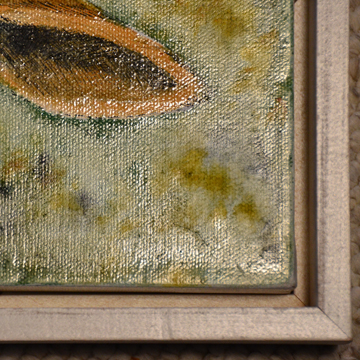 All of the oil landscapes are currently framed in a simple white lattice frame. What this means is that the frame itself is made from four pieces of wood lattice strips, mitered at the corners and painted white. 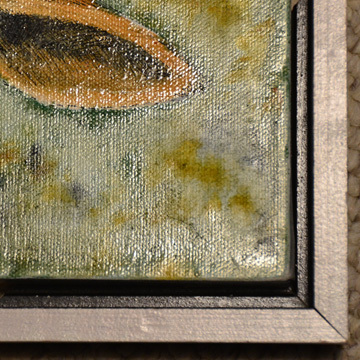 This is a minimalist frame which separates the painting from the wall nicely, looks neither ultra-modern nor old-fashioned, and is provided to you at no charge. 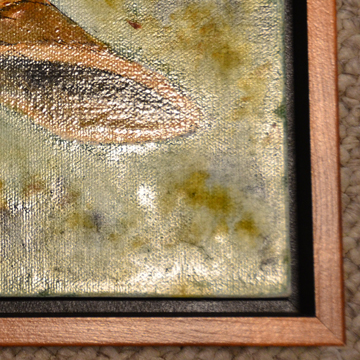 If you decide later on you would like a more elaborate frame, the lattice can easily be removed. 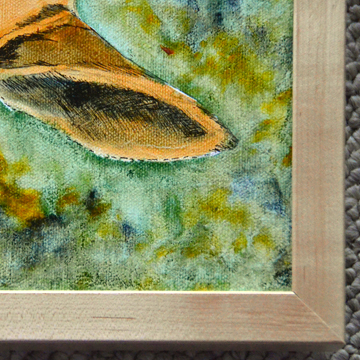 The watercolors vary in size, with the larger ones generally framed in metal and the smaller ones in natural maple. All have mats in either off-white or off-white with a color liner. Some are single mats, some are double. 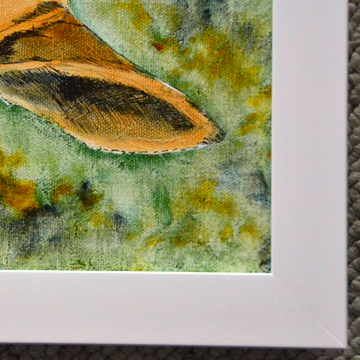 I will be happy to email you a photo of any watercolor with its mat and frame that you might be interested in. 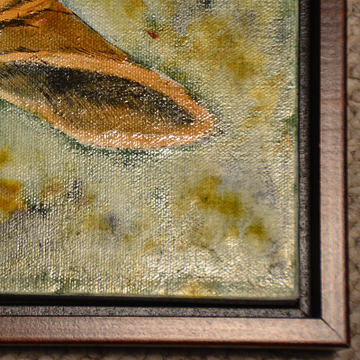 I can also reframe them for you if you need a particular mat or frame color. There will be a small extra charge for this service, depending on the size of the painting.